I just wanted to let you know why I haven’t posted much this week. I’ve been hit with the cold/flu bug. It’s so frustrating. It’s the thing that I feel like I dread the most during fall/winter. We’ve been homebound for a couple of days. I’m hoping to feel better by this weekend. There are a couple of great places I had planned to visit and I hope I can do so this weekend. Just a friendly reminder to everyone-Make sure to get your flu shots if you haven’t already done so. While we have yet to experience this, it is definitely something you can do with your little ones. Just a few years ago, Disney began bring the Disney Magic cruise ship to the west coast for summer cruises from LA to Mexico. Pricing begins at $1599 per adult double occupancy. Children under 3 are $189, 3-12 start at $999 and 13 and up begin at $1199. The chidren are kept entertained for hours. Flounder’s Reef Nursery will even watch the little ones all day while the adults and big kids are out experiencing shore excursions. This is group babysitting and requires an hourly fee, but by all accounts, it is worthwhile. Order your free dvd from Disney here. Pandas, Pandas, Pandas!! This is all I’ve heard from my daughter Lauren for the past couple of weeks. A while back she was watching the Wonder Pets which featured a Panda rescue and this is when it all began. We’re very lucky that we happen to live only about an hour and a half from one of the greatest zoos in America, if not the world. So we packed a diaper bag yesterday and headed south to the San Diego Zoo. 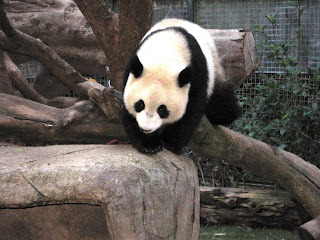 The zoo is one of three(National and Atlanta) in the states that have pandas on display. Lauren was beside herself with excitement. We arrived after a short drive and snagged a great parking spot. There is one parking lot adjacent to the park and one across the street from the park. Parking was plentiful in the afternoon and free. We loaded the kids in the double stroller and started our adventure. We grabbed a map and started our trek to the panda research station but Lauren had other plans. On our way there we stopped by the monkey/gorilla exhibit and she was mesmerized. She did not want to budge. We knew that the pandas had limited viewing hours and we wanted to make sure that we could get there in time. Lauren liked the monkeys and orangutans so much that she almost forgot about the pandas. I have to keep reminding myself that with young children it’s not about our timing but theirs. I realized that both my one year son Michael and Lauren were having a great time observing the monkeys and if we didn’t make it in time to view the pandas it wouldn’t really matter since really it’s about them and not us. We stayed there until the kids were ready to move on. I think this is one of the most valuable lessons I’ve learned as a parent. 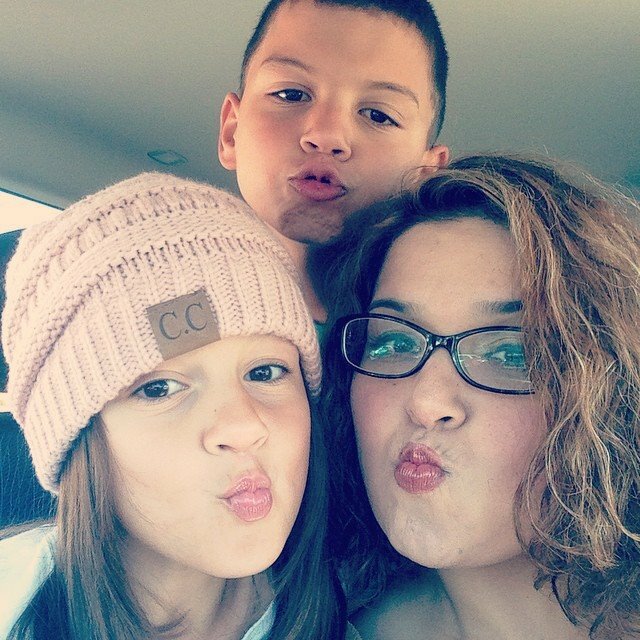 You can’t be rigid about schedules- Life is too short and children will pick and choose what they want to do- If it makes them happy and the purpose of your outing is to have fun then let it be. Throw expectations out the window and the good times will follow. The walk to the research station was beautiful. We walked through the aviaries and enjoyed all of the different birds on display. The zoo is very accommodating to strollers. The grounds of the zoo are lush and beautiful. It’s hard to believe that the zoo is in the middle of a busy city. I felt like we were transported to another place far away from urban sprawl. We arrived to the research station and made it in time to catch long glimpses of two pandas on loan from China. Our family was in love. We waited in line for a couple of minutes but it was well worth the wait. Both pandas were in the middle of dinner and put on quite a show. I have seen plenty of pandas on television before but it was magical to actually see them in person. Lauren was bursting with excitement and to be honest so were we. It was a pretty amazing to observe such beautiful majestic creatures. It was definitely one of the highlights of our holiday weekend. As we were heading out of the park Lauren mentioned that she was hungry and we decided to eat inside the park. We ate at the Canyon Cafe. The food was tasty and reasonably priced. One of the best deals of the park is the kid’s meals. They come with a souvenir cup, souvenir bucket, meal, chips, raisins and cookies. It was a big hit with the kiddos. 3. Make sure to pack a jacket for the late afternoon. It gets chilly. 4. If you can only come out for one day make sure to arrive as soon as the park opens to take it all in. We were there for a couple of hours and were only able to take in two exhibits. 5. Remember to write down your parking aisle. 6. If you can make sure to ride the Skyfari Aerial Tram. You will get a bird’s eye view of entire zoo. We really enjoyed our time at the zoo and can’t wait until our next trip. I hope you can make it out soon. Admission prices vary. Children 2 and under free. 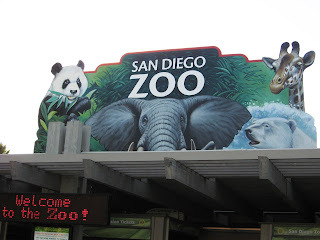 The San Diego Zoo is located at 2920 Zoo Drive in Balboa Park, just north of downtown San Diego.